The indoor kitchen has all the modern appliances, cook ware, utensils and service ware you could ever need. Drinking water and ice are dispensed from the side-by-side refrigerator, filtrated by a triple osmosis UV system for your maximum safety. A coffee pot, microwave, dishwasher, toaster, blender and propane gas-powered oven (with a 6-burner stove top and griddle) are all ready for your use. 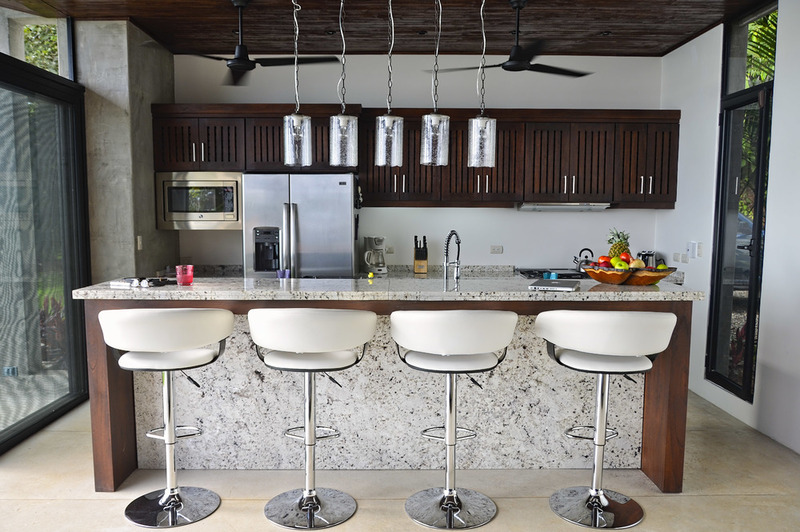 Make a cup of coffee in the morning, a smoothie in the afternoon or a frozen cocktail at sunset with the freshest ingredients this area has to offer. 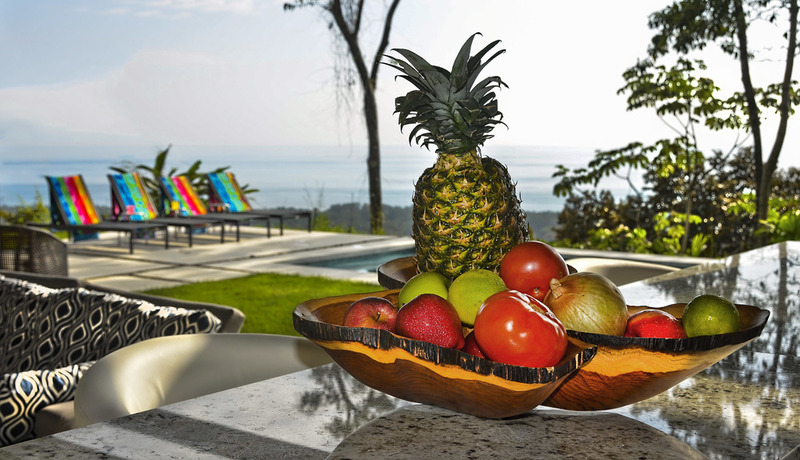 Prepare an amazing meal with produce hand-picked and fresh fish caught the same day within mere minutes from the property. Or, hire a private chef to do the work while you relax by the pool. Housekeeping services are provided to ensure everything is kept clean during your stay so you can relax and enjoy yourself.